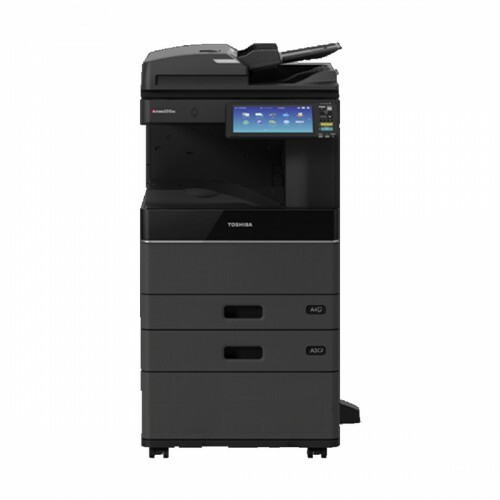 Toshiba e-Studio 3018A Black & White Multifunction Printer Speeds of 20, 25 and 30 PPM.High-volume and high toner yields. Advanced e-BRIDGE Next technology.Fast dual-core processor. 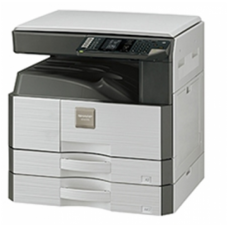 This copier has 10.1” Color WSVGA Touch Screen Tilting Display,CPU Intel Atom™ 1.33GHz (Dual-Core),Memory 2GB, Max 4GB, Hard Disk Drive 320GB Self-Encrypting Drive FIPS 140-2 Validated (Opt.). 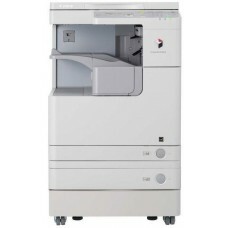 Special feature Standard Automatic Duplex Unit (16 lb Bond-140 lb Index),Max Duty Cycle Max. 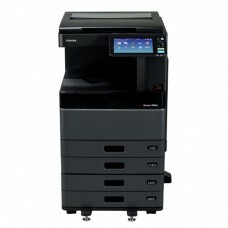 80K/100K/120K Month,Power Source 120 Volts, 50/60 Hz, 12 Amps And Weight Approx. 125.2 lb.